David Atkins was born in Greenwich, London in 1964. He studied painting at St Martins School of Art, London and Winchester School of Art gaining a 1st Class Honours Degree in painting. After leaving college he returned to London, where he taught part time and continued painting. He exhibits regularly throughout the UK and in 1999 began showing at the Albemarle Gallery in London, with his first solo show in 2002. 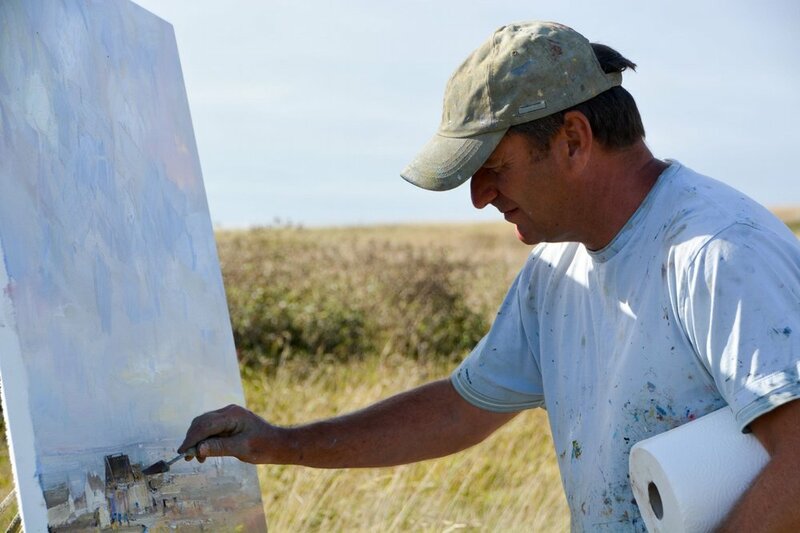 He has been awarded numerous prizes including the Horan prize for Painting at the NEAC Exhibition in London and the Façade International Prize for Painting at the Discerning Eye Exhibition in London. 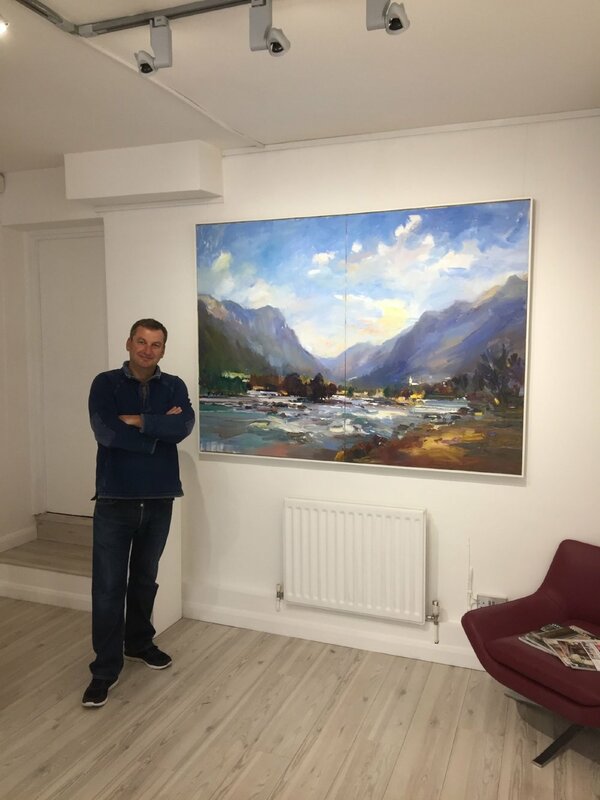 He was recently awarded the Baltic Exchange Prize 2018 for painting in the RMSA Exhibition at the Mall Galleries London. ‘David Atkins has established himself as an evocative painter of landscapes and, particularly, of the urban scene. His is a broad brush, the sweep and colour of it bold and clear, and he brings to the city the eye for transitory light and temperature and atmosphere that is more usually applied to rural landscape. With him we explore cities, not always in the bright clear Kodak light of the Canaletto imitator, but at dawn and sunset and often in the damp truth of autumn and the tenebrous contrasts of the street at night; his is the sometimes sceptical eye of the honest observer, seeing London and Dublin, New York and Barcelona, as we have all experienced them’.